COR980C (1965) Bedford VAL14 . Plaxton Panorama C49F. Ex-Coliseum . Southampton . Seen 6.1996 Cambridge . 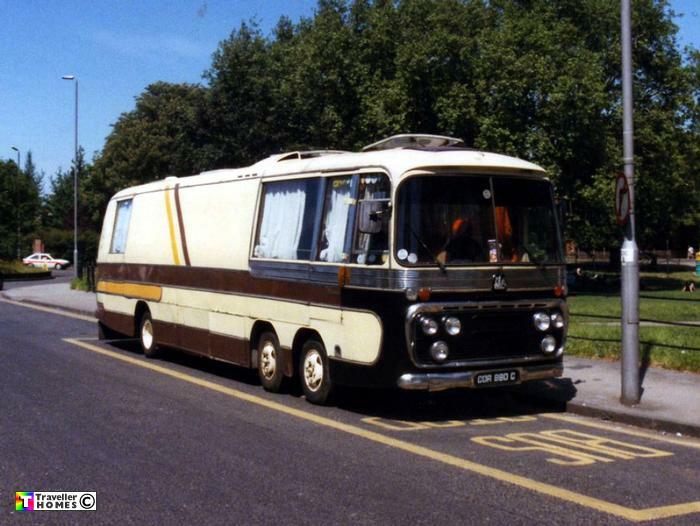 A coach that was converted in 1982 , it then appeared at the 2006 Bedford Gathering in the ownership of Craig . Here it's looking smarter as restoration work continues under the ownership of Tom & Jane . The sold it to Bob in 2013 . Photo = David Beardmore .